Hello friends! Welcome back to the CTK blog! I hope your summer is going fantastic and you are creating memories to document and cherish forever. 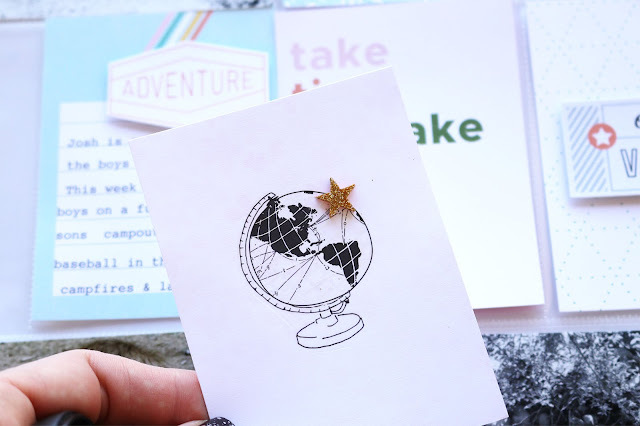 I am here today to share a little pocket page inspiration using the June kit and a few extra goodies from the shop! Here is a look at the final spread. 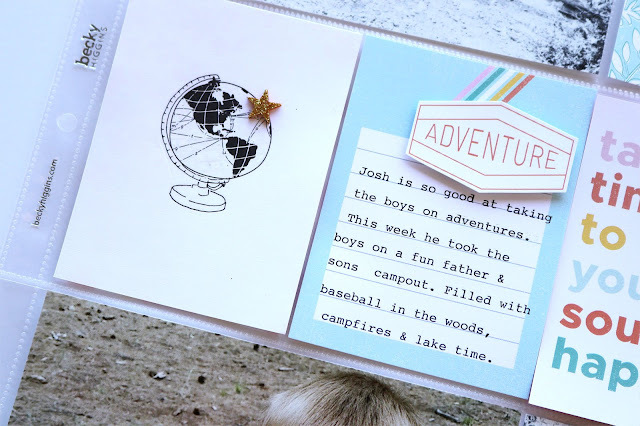 I loved using the journal cards in new ways! 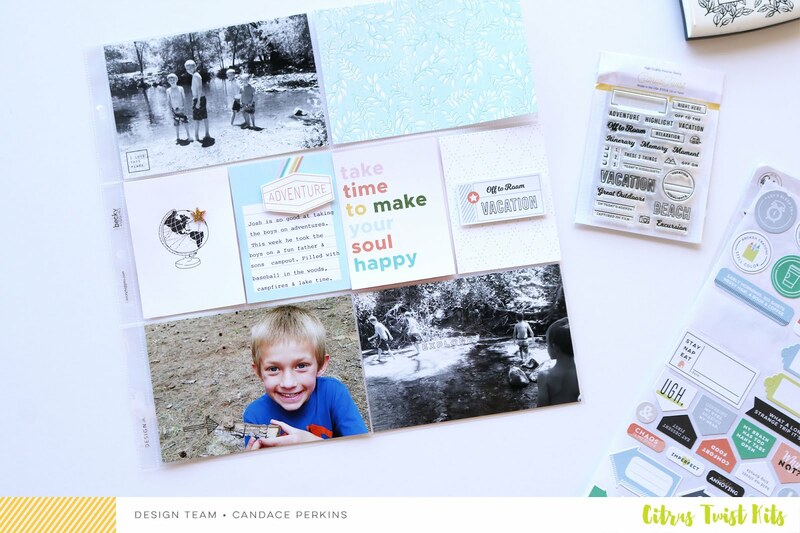 Here are a few tips on how to create one of a kind spreads. Tip #1: Use rub ons to create your own custom cards. Tip #2: Use stamps & stickers to match the theme and feel of your spread. Tip #3: Cut up journal cards to create your own custom embellishments and add dimension to your journal cards. I loved spending a little extra time on this layout playing with fun embellishments and creating my own cards. 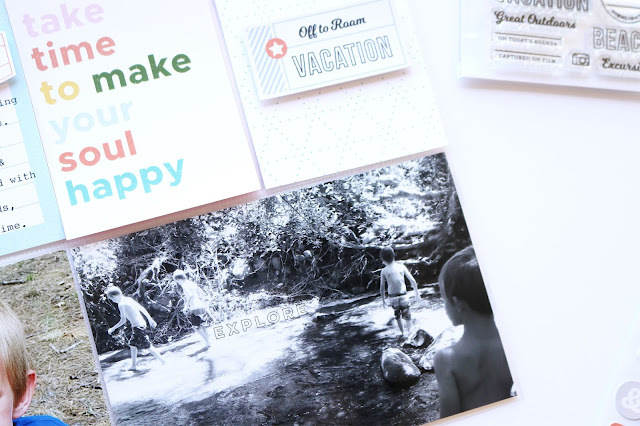 I was able to customize my layout and make it unique to fit our family's memories. Thanks for stopping by! 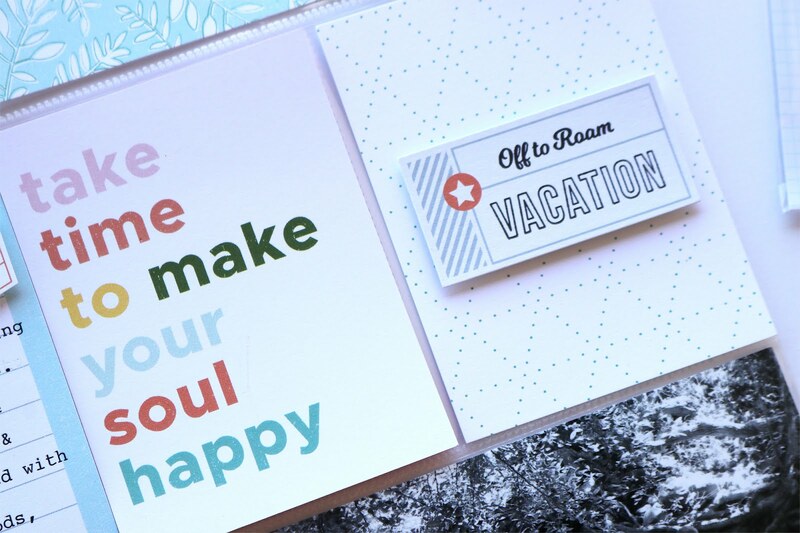 Make sure you head over to the shop and pick up all the goodies to create your fun spreads this month!